A Mace Guy from Yoshi Topsy-Turvy. 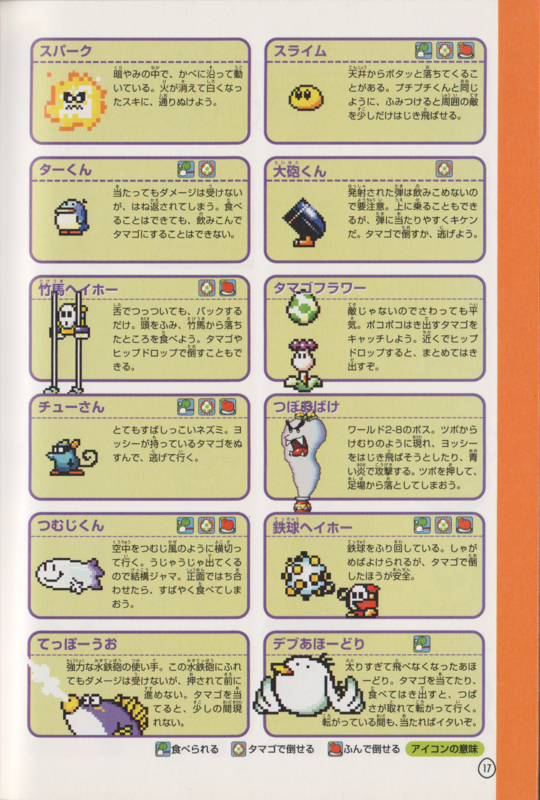 Mace Guys are Ball 'N' Chain-swinging Shy Guy who first appears in only three levels (Sluggy The Unshaven's Fort, Raphael The Raven's Castle and Ultimate Castle Challenge) in Super Mario World 2: Yoshi's Island, as well as an additional secret level (Endless World of Yoshis) in Yoshi's Island: Super Mario Advance 3. The Ball 'N' Chain can hit a Yoshi and hurt him. A Yoshi can also eat the Shy Guy, and spitting it turns it into a normal Shy Guy. While the artwork depicts the flail black with white spikes, the sprite depicts it light blue with yellow spikes. They also appear in Yoshi's New Island. Although they are called Mace Guys in the English translation, the weapon they are wielding is in fact a flail and not a mace. Yoshi Topsy-Turvy has Mace Guys in 7 missions. All but one are in Chapter Six, and a lone one is in Chapter Five. A Mace Guy also appears as a Sticker in Super Smash Bros. Brawl. The sticker increases the strength of a fighter's weapon by 22 points. 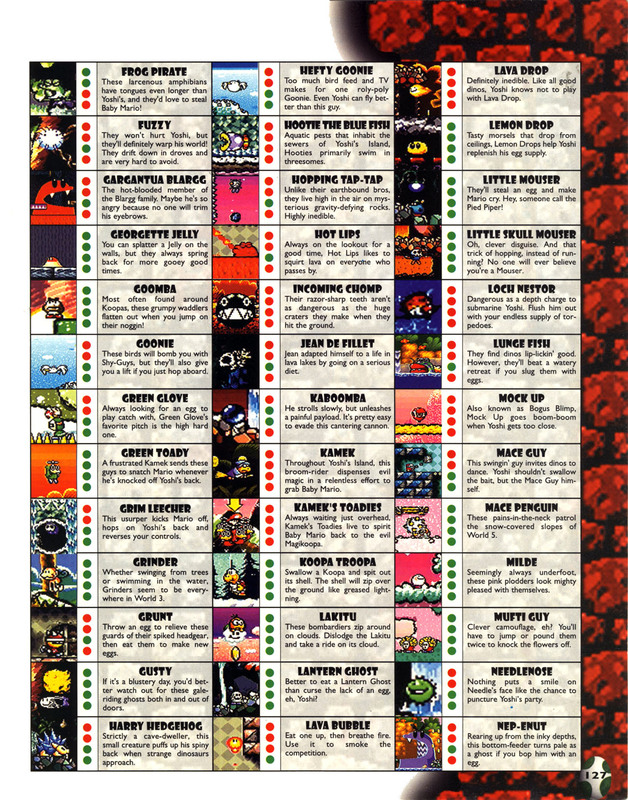 German Schwing Guy From "schwingen" (swing) and from Shy Guy "Guy"
This page was last edited on April 10, 2019, at 10:21.